Over the years Rhondda Cynon Taff (R.C.T) has had many clubs within its boundaries many of which no longer exist. The four remaining clubs Llantrisant Sharks, Nexus Valley, Pontypridd and Rhondda have over the past 20 years been producing top junior swimmers for Wales however these swimmers have had to leave the area to obtain the training they required to progress. Several of these swimmers have gone on to Commonwealth Games and Olympic standards but the clubs of R.C.T. could not receive the recognition they deserved. During the last twelve years Llantrisant Sharks have been pushing for more pool time from the authority to accommodate their growing club of talented swimmers. In 2013 Swim Wales the local authority and the clubs of the area began a negotiation process to move swimming forward for the benefit of all swimmers across R.C.T. 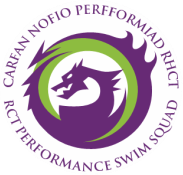 this resulted in Llantrisant sharks evolving into R.C.T performance swimming squad with three performance squads, four skills squads and a senior squad for masters swimmers triathletes and ex competitive swimmers who want to keep up their fitness.